Please select options for RTR Front Chin Spoiler (13-14 GT, V6) at the top of this page. 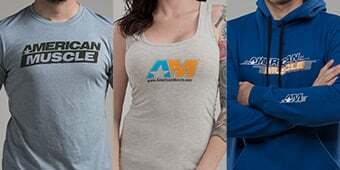 Hey, guys, Stephanie with AmericanMuscle.com, and I'm checking out some signature RTR styling that's now available for S197s. 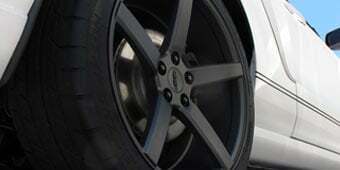 We're going to be taking a closer look at RTR's Front Chin Spoiler, fitting your 2013 to 2014 GT and V6 Mustangs. If you haven't heard about RTR yet, I'll just say that RTR is a creation of Vaughn Gittin Jr., and it was intended to bring something different into the Mustang world. RTR takes the best of multiple automotive cultures and meshes them together into a product that will appeal to a wide range of enthusiasts. 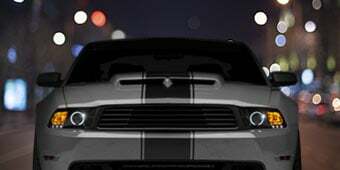 So with that in mind, RTR produces a number of different aesthetic and functional mods for the Mustang, with this chin spoiler being one of them. 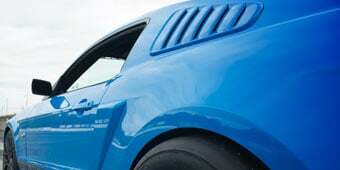 This is the exact same chin spoiler that comes included as original equipment on the RTR Mustang, and you can see right away that the chin spoiler has that modern and aggressive styling that's typical and expected of the RTR line. This chin spoiler is race inspired and it compliments the lines of the Mustang's front fascia and it gives the car a more forceful muscle car appearance. The chin spoiler's even made the same way as many OEM parts are, through high-pressure injection molding that will give the chin spoiler the quality of long-lasting durability and the capability to stand up to the stresses of being a track car or a daily driver. Installing the chin spoiler is pretty easy and it should only take you about an hour from start to finish. Of course, you can do the install on the ground, but it might make things a little bit easier if you get the car up on some stands so you can give yourself a little bit more room. Another good thing about the install is that it requires no drilling at all and the chin spoiler simply attaches to the factory mounting points and reuses all the stock hardware. Some 3M bonding tape and adhesion promoter will also secure the chin spoiler into place. 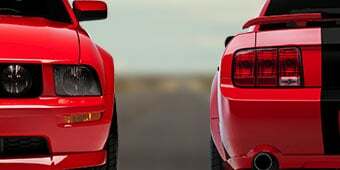 If you guys have any questions about the chin spoiler or the install, you know that you can always reach out to one of our many Mustang experts for assistance. The RTR Chin Spoiler is a great choice for anyone in the market for a strong and different way to transform the look of the 2013 to '14 Mustang, and it's available along with all the other components from RTR right here at AmericanMuscle.com. Ready To Rock! This is the same exact chin spoiler that is included as original equipment on the Ford Mustang RTR designed and developed by Vaughn Gittin Jr. The RTR chin spoiler features a modern aggressive race inspired appearance, making it the perfect addition to your modern muscle car. Quality Construction. Manufactured from OEM quality high pressure injection molded high-strength thermal plastic olefin (TPO) for it's long lasting durability, this RTR Chin Spoiler arrives ready to install. Application. This RTR Chin Spoiler is a direct fit appearance upgrade for the 2013 to 2014 GT and V6 Mustangs. Does not fit Shelby GT500 models. Does it bolt directly over the existing lower valance Is there any major cutting or drilling or does it bold on over the existing valance. 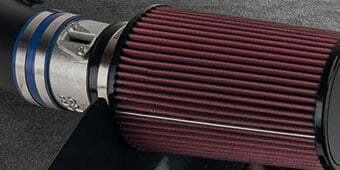 Is there drilling or do you used the existing holes on the OEM. I am assuming there is two sided tape as well correct? There is no cutting at all it simply goes over the existing chin that comes on factory 13 gt, it uses the existing mounting holes on the bumper, and yes it comes ready with 3m double sided tape in place. Correct it bolts over and between existing chin lip. Very easy installation with only and 8 and 7mm socket and 1/4" drive ratchet. 15-20 mins tops. Do I need to remove the underneath engine cover in order to install to access the (6) 8mm bolts? How much lower will this make the front of the car? I just put this chin spoiler on my 2013 convertible, after I painted it Race Red to match, looks great. I have 20" wheels, and stock suspension. My clearance is now 6 1/2" I watch when I park, but have had no issues. If your Mustang is stock height (measure from the ground to the lowest bottom section of your bumper wrap). This Chin spoiler when installed should leave about 6.50" of clearance. The stock chin spoiler is a little different from the Cali special , will it still be compatible with the cs even though it’s slightly bigger? This will not fit the CS models no. 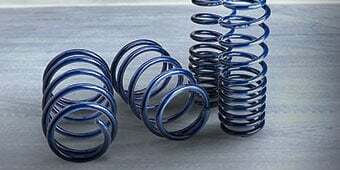 My car is lowered with lowering springs will this still fit or will it be to low to the ground when going over bumps or train tracks etc. This really depends on how low your car is. Please contact us with more details. 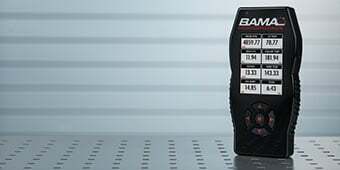 Unfortunately, this part is an overlay and would need the stock shin spoiler in place to be secured on the Mustang and will not work without the stock chin spoiler. The RTR Front Chin Spoiler will be incompatible with the front air dam included with the 3dCarbon 5-Piece Boy Racer Body Kit. 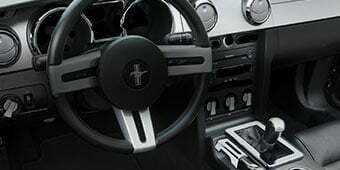 This is designed to fit the 2010 to 2012 Mustangs with the GT/CS front fascia installed, and it would not be a direct fit with the Boss 302 Laguna Seca Front Splitter. With some modification, it could be made possible. Hello! With proper installation, the RTR Front Chin Spoiler should not scratch your bumper. The 3M adhesive will go underneath the turn signal marker marker lights. 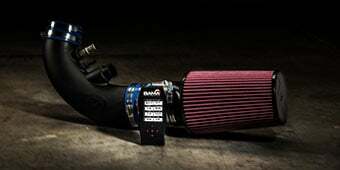 This will not work with the Boss 302 chin splitter. The RTR Front Chin Spoiler will give you approximately 5.2" of clearance in the front with the Eibach Sportline springs. The RTR Front Chin Spoiler will require modification for appearance splitters, however, if you are installing a functional front splitter which attaches to the frame, you can adjust the front turn buckles to provide sufficient clearance for the chin spoiler. The RTR Front Chin Spoiler (13-14 GT, V6) was designed to be a OEM fit and finish to the factory front fascia. The factory chin splitter is not needed when installing this on your Mustang. What you are basically dealing with here is a three sided triangle. The length of the slant, the straight line distance from the top of the slant to the drop down height at the bottom the slant. Take your measurements and draw them out on an appropriately sized piece of cardboard. Cut out the triangle you just drew, which represents the slope of your apron and try to slide it under the front of your car. If it's a long gradual sloping apron, you might be OK, since the tires might give you enough lift. Avoid speed bumps at all costs. That does look cool though. This will not fit a 2012 V6 as the brackets the RTR Front Chin Spoiler (13-14 GT, V6) attaches to will not mate up with the 2012 brackets as well as the size is a different shape from 2010-2012 & 2013-2014. The fitment was great and took about 40 minutes to install including uninstalling the old one. Great product however shippers cracked this and my hood. different shipments too. Very SAD! However American Muscle took off significant cash for my issues.....they were Awesome!!! this is my second time installing this on my car! first one broke after i hit a parking cement block, so quality isnt the best, also youre going to need to do some minor modification( new hole and extra 3m tape needed). but over all the best looking spoiler in the market! Looks good unless ur picky like me. Looks good once installed. The corner was damaged which i see is a common issue.. i resecursed it with sealant bc im impaitent and dont feel like sending it back.. for the most part it looks good excepts it leave a small gap between the bumper cover and spoiler.. not a major deal, im just picky. Overall its looks good tho. Easy install, 7mm all around and no extra parts needed. Not sure what the 3m strips were for since they were placed in spots that don’t touch the car, but nice to not need them if it ever needs to be taken off. Don't waste your money! First off, I consider myself a very handy person and this product is a huge disappointment. I have plenty experiences doing tough installs and by no means was this one but it was beyond annoying! Sure it looks great when you finally get it on but I don't understand how you can install it without cracking the corners where it wraps around the wheel well. The fit is just way too tight. The video on AM makes it seem like the easiest install but they fail to mention how much of a pain in the you know what it is when it cracks. I can't be the only one that this has happened to. Believe me I hardly used any force and it snapped. I also notice that one of the 3M strips was on the wrong side of the hardware. Had to purchase additional double sided tape. Being that the flaps cracked, I decided to cut the corners flaps completely off to avoid a visable uneven cracks which then made it easy to slide in. Holds up well even without the flaps being screwed into the wheel well. All in all I would not recommend this product, I invested about 550 into this product after getting it painted and ended up with a cracked product because of how flimsy the corner plastic is. Save your money. Trust! Looks very good. Double sided tape and pre drilled holes didn't all align. No big deal, just drilled a few holes in it. Instructions were a little vague. Still happy though. Be careful on steep inclines/declines as not to scrape it of course. We'll see how it holds up.. Overall happy. It is a really good piece to add to your build and looks amazing. Came perfectly packaged on time and just in time before my car show really makes the front look beefy and much more menacing gives it that boss attitude while not being overly dominant in the front and it does a great job at being in cohesive with the colors of the car BIG THUMBS UP FROM ME!! After looking at some customer photos I decided to have my chin spoiler painted and installed professionally. What a great add on and the price was right. The price for the install was a little higher because they had to replace the engine shield as well.